Traci is the chief operating officer for the City of Los Angeles, LA Sanitation. In this capacity, she assists the director by maintaining bureau-wide oversight of operational activities in a program that consists of three core services: wastewater collection and treatment, solids resources, and watershed protection (stormwater). Her main area of focus is in wastewater treatment, water recycling, and biosolids management where over 450 million gallons per day are collected and treated. Traci has been with the city for 25 years and has previously served with the city’s Department of Water and Power and the Irvine Ranch Water District. She has served in many capacities including water planning, industrial pretreatment, environmental regulations, and wastewater treatment. Traci holds a Bachelor of Science in civil engineering from California State Polytechnic University at Pomona and a Master of Science in environmental engineering from Loyola Marymount University. She is also a licensed professional civil engineer in the State of California and a board certified environmental engineer. Bill Long is a four term board member at Novato Sanitary District. He is also a member of the board of the North Bay Water Reuse Authority – a coalition of water and wastewater agencies and local governments in Napa, Sonoma and Marin counties. Bill’s focus has been on resource reuse and recovery which includes the solid waste handled by the trash collector franchised by the District. His other interests include preservation of open space and outdoor recreation. Bill is chair of the Bay Area Ridge Trail Council and a board member of the San Francisco Bay Trail. In 2011 he was honored for environmental leadership by the North Bay Leadership Council. 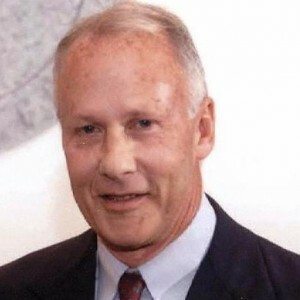 Bill has a Bachelor of Science and Masters of Science in chemical engineering from MIT and is retired. Jason Dow was appointed general manager of the Central Marin Sanitation Agency (CMSA) in 2002. He began his career with CMSA in June 1993 as a University of California, Berkeley, College of Engineering intern and was then hired permanently as an engineering technician in December of 1993. Jason graduated from University of California, Berkeley in with his Bachelor of Science in civil engineering and received his Masters of Science in environmental engineering from San Francisco State. He is a California registered civil engineer. Roger became the General Manager at the Central Contra Costa Sanitary District on August 19, 2013. CentralSan is a progressive sanitary district providing wastewater collection and treatment services to approximately 471,000 people in the central Contra Costa area. Before his employment at CentralSan, Roger served as the head of the City of San Diego Public Utilities Department. 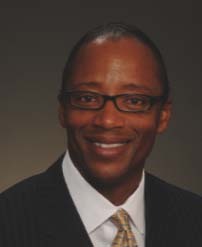 Prior to joining the City of San Diego, he served as Deputy City Manager and Utilities Director for the City of Glendale, Arizona; Utilities Director for the City of Royal Palm Beach, Florida; Assistant Utilities Director for the City of Valdosta, Georgia; and Senior Engineer with the City of Tallahassee Water Utilities Department. Under his leadership, San Diego and Glendale’s Utilities Department has won platinum awards for Utility Excellence from the Association of Metropolitan Water Agencies. Since coming to CentralSan, the facility has won the NACWA Platinum Award for three consecutive years. Roger is a registered professional engineer in Arizona and Florida. His education includes M.S. and B.S. degrees in Civil Engineering from Florida A&M University. He also holds a B.S. degree in Physics and Mathematics from the University of Winnipeg, Canada. Layne Baroldi s the VP of Legislative and Regulatory Affairs & Technical Services at Synagro Technologies and provides guidance on the company’s policies and objectives involving local, state, and federal government affairs. He has been active in the area of biosolids management for 30 years. Prior to joining Synagro in 2009, he acquired 23 years of municipal experience at the Orange County Sanitation District, first protecting biosolids quality through the enforcement of the National Pretreatment Program and then supervising the biosolids management division. He received a B.S. Degree from the University of Southern California and a JD Degree from Western State University College of Law and is a member of the State Bar of California and former Mayor of the City of La Habra Heights. Paul Bushee is the general manager of the Leucadia Wastewater District in Carlsbad. 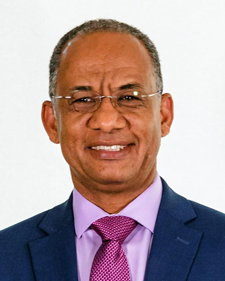 He initially joined the District as its assistant general manager and served in that capacity for approximately a year and a half. Prior to Leucadia, Paul worked for the Encina Wastewater Authority for 13 years, serving in various capacities and concluding as the Authority’s Capital Program Manager. In addition to his duties as General Manager, Paul has been active with several statewide organizations. He chaired CASA’s Managers and Program Committees before accepting a position on the Executive Board. Paul has also been involved with the California Sanitation Risk Manager Authority (CSRMA) since 2005 and is currently vice president of its Executive Board of Directors. Furthermore, Paul served on the WateReuse Finance Authority’s Board of Directors from 2004 to 2010. 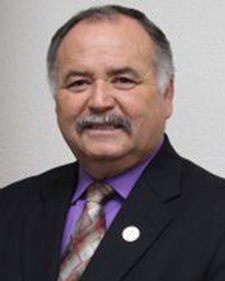 David T. Cárdenas was appointed to the Selma-Kingsburg-Fowler County Sanitation District Board in June 2004 and is still acting Board Chairman. In 1999 he began serving on the Fowler City Council. He was elected to the Office of Fowler Mayor in 2011 and is still currently serving. He regularly attends the CASA Conferences. Craig Elitharp was first elected to the Division 3 seat of the Vallecitos Water District Board of Directors in 2014 and served as Board President in 2017. He served on the Board of the Encina Wastewater Authority from 2014 to 2018 as one of two Vallecitos Water District representatives and served as Chairman of its Policy and Finance Committee in 2018. Craig retired from the Rancho California Water District in 2014 with nearly 25 years of experience there in the roles of Civil Engineer, Operations Manager and Director of Operations and Maintenance. Prior experience includes 4 years as a Civil Engineer with the Navy Public Works Center in San Diego and 6 years as a Civil Engineer with the US Forest Service on National Forests in Arkansas and Virginia. Craig is a Registered Civil Engineer in California and holds State Water Resources Control Board certifications as a Grade 5 Water Distribution Operator and Grade 3 Water Treatment Operator. He is a 1979 graduate of the College of Environmental Sciences and Forestry at Syracuse University, receiving a Bachelor of Science degree in Forest Engineering. 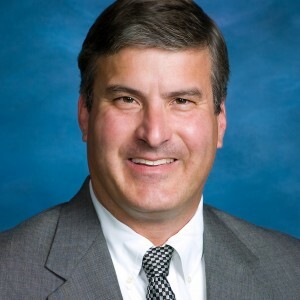 Scott Goldman has been on the Board of Directors of the El Toro Water District since 2000 and is currently vice president. He was appointed to the Board of the South Orange County Wastewater Authority in 2006 as the representative for El Toro, and served as chairman from 2010 to 2014. Scott is also a senior vice president at RMC Water and Environmental located in the Irvine office. He has 35 years of experience in the planning, design and construction of various aspects of water, wastewater and recycled water systems. Scott holds a Bachelor of Science in water resource engineering from University of California, Los Angeles and a Masters of Science in environmental engineering from University of Southern California. He is a registered civil engineer in California, Arizona and Nevada, and an environmental engineer certified by the American Academy of Environmental Engineers. Jasmin Hall serves as Secretary Treasurer of the Inland Empire Utilities Agency Board of Directors where she represents Division 4, the City of Fontana and portions of the Cities of Rialto and Bloomington. Ms. Hall was appointed to the Board of Directors in October 2013, and elected in November 2014. Ms. Hall serves as Chair on the Agency’s Finance & Administration Committee, and as an alternate Committee member on the Community & Legislative Affairs Committee and the Audit Committee. Ms. Hall is the Secretary/Treasurer on the Santa Ana Watershed Project Authority (SAWPA) Commission, and serves on the Orange County Sanitation District/SAWPA Joint Policy Committee. Ms. Hall is also the Agency’s representative to California Association of Sanitation Agencies (CASA), Chino Desalter Authority, and Association of California Water Agencies. Ms. Hall serves as the Vice Chair for both the Inland Empire Regional Composting Authority and the CASA Utility Leadership Committee. She also serves as President on the Chino Basin Regional Financing Authority. She has over thirteen years of experience working on Inland Empire utility issues. Ms. Hall has extensive experience in community leadership by serving as the Fontana Planning Commission Secretary and serving as Chairwoman for the Fontana Parks and Recreation Commission. Ms. Hall initiated the process that earned Inland Empire Utilities Agency the Special District Leadership Foundation’s District Transparency Certificate of Excellence. Ms. Hall received a Recognition in Special District Governance certificate, which is designed to honor special district Board members and trustees that demonstrate their commitment to continuing education and special districts governance. The recognition covers the essentials of good governance, as well as service-specific education. Ms. Hall holds an M.B.A. degree with a specialization in Human Resource Management from National University, San Diego, a B.S. degree in Business Management from University of Phoenix, San Diego, and a Project Management Certification from University of Irvine. Grace Robinson Hyde is Chief Engineer and General Manager of the Los Angeles County Sanitation Districts. She has 33 years’ agency experience. In her current role, she manages all operations of the sanitation districts, which provide wastewater and solid waste management services for over 5.5 million people. She oversees approximately 1,700 employees and an annual budget of over $700 million. Since September, 2013, she has served on the CASA Program Planning Committee as Vice Chair and, most recently, Chair. Grace also serves on the following boards and commissions: Commerce Refuse-to-Energy Authority Board, Inland Empire Regional Composting Authority Board, Puente Hills Habitat Preservation Authority Board, Santa Monica Bay Restoration Commission, and Southern California Coastal Water Research Project Commission. She received a bachelor of science degree in civil engineering from the University of Texas at Austin and a master of science degree in environmental engineering from the University of North Carolina at Chapel Hill. Grace is a Registered Professional Civil Engineer in California and is a Board Certified Environmental Engineer by the American Academy of Environmental Engineers. Georgean Vonheeder-Leopold has been an active member of CASA for more than 15 years. Also a Director on the Dublin San Ramon Services District Board, she brings years of public service and experience to the CASA Board. In 1977, while raising four children, Georgean became active in local government, scouting, and youth sports. She worked on the campaign to incorporate Dublin and San Ramon as cities and then served on the first Dublin Planning Commission, which was tasked with writing the first General Plan. She then became a member of the Dublin City Council, just in time to approve the General Plan. Active in public service for more than 35 years, Georgean has served on various city and county commissions as well as a host of nonprofit boards. She has lived in Dublin since 1971 and recently retired from a long career in tax accounting. Roland Williams is the General Manager of the Castro Valley Sanitary District (CVSan). He has been with CV San 19 years, 12 years as the General Manager. Prior to coming to CVSan, Roland worked for Harris and Associates as a project manager and owner’s representative on wastewater treatment plant projects. He has served on the CASA Utility Leadership Committee and is a member of CWEA, WEF, APWA, and has held various volunteer roles with these organizations. He is a father of two adult children and grandfather of two. His hobbies include fitness training, reading, travel, and spending time with family.